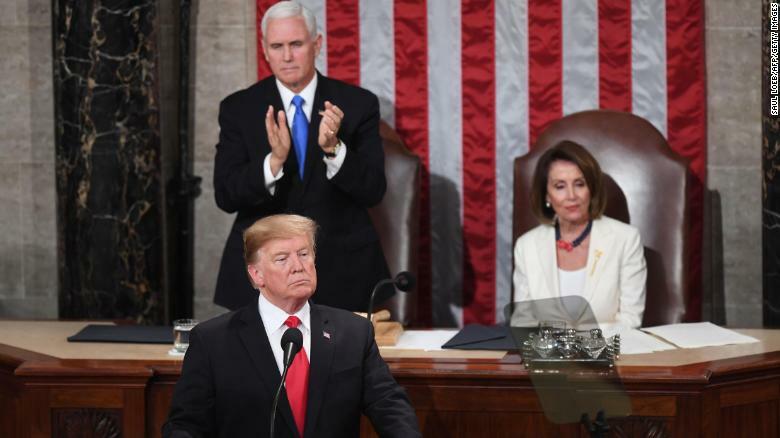 President Donald Trump delivered his State of the Union address Tuesday night, a speech that was, in equal measure, surprisingly bipartisan and deeply divisive — reflective of the deep contradictions that sit at the heart of his presidency. Within just a few paragraphs, Trump swerved from calls for unity and shared victory to blasting Democrats on their opposition to his proposed border wall. In one breath, he touted the low unemployment rate. In the next, he insisted that if Democrats wanted peace and prosperity, then they could not carry on “partisan investigations.”It was vintage Trump — in all its incongruity, unpredictability, exaggeration and occasional moments of surprising grace.